Precision agriculture is trending toward complete automated solutions for farm efficiency, increased yield and less waste, say Israeli experts. Israeli precision agriculture started with a drip and became a deluge. The “drip” is drip irrigation. The single most significant advance in modern agriculture, invented in Israel by Simcha Blass and his son Yeshayahu in 1959, increases crop yield, quality and consistency while using less water. Netafim, the multinational company founded in 1965 to commercialize the Blass invention, remains the foremost name in irrigation technologies worldwide. The “deluge” includes a host of farm management solutions. No fewer than 70 Israeli companies make tools for measuring, analyzing, monitoring and automating processes to give crops and soil exactly what they need, exactly when and where they need it, ensuring minimal waste of resources and maximum efficiency and yield. Israel stands out in precision-ag subsectors of water management, data science, drones and sensors, says Stephane Itzigsohn, investment associate at OurCrowd. Precision agriculture involves collecting data with technologies such as sensors and satellite images, and analyzing all that data algorithmically for practical purposes. Gideon Soesman, cofounder and managing partner of agro and food-tech venture fund GreenSoil Investments in Ra’anana, predicts that fewer startups will be making that journey but each will offer more comprehensive solutions. “Too many companies have focused on a particular problem or feature. The farmer needs a larger solution in the same way that you buy a package from Microsoft from your computer with all the components you need,” Soesman tells ISRAEL21c. Trendlines Incubator CEO Nitza Kardish, who has a doctorate in plant molecular biology, says the ecosystem still will support innovations for specific issues, like a sensor for finding a certain plant disease. “These small pieces fill in the big picture to give farmers all the information they need for more efficient and sustainable growth,” she tells ISRAEL21c. Ahead of the July 16 European Conference on Precision Agriculture, here are five Israeli precision-agriculture companies exemplifying the trend toward comprehensive solutions. 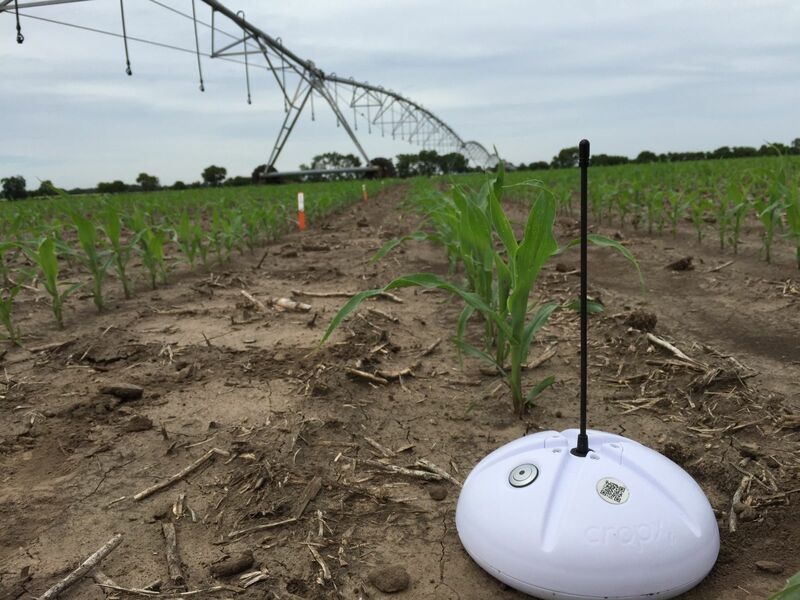 The CropX software system for advanced adaptive irrigation is gaining traction on large American farms. Sensor stations placed strategically in the fields according to a GPS-enabled smartphone app synch to the phone to transmit data updates on soil conditions. Based in Tel Aviv and San Francisco, CropX not only informs farmers about the amount of water, fertilizer and pesticide needed by each patch at specific times, but can control the irrigation system accordingly, automatically handling daily decisions for farmers. CropX has received investments from Finistere Ventures, Innovation Endeavors, GreenSoil and OurCrowd. Precision agriculture has two phases: collecting data and analyzing it for practical purposes. The first phase might be accomplished with technologies such as sensors and satellite images. Taranis handles both phases. There’s an app to collect information from various sources and an intelligent dashboard that centralizes and digests all the incoming data to give field scouts help in making and implementing informed management decisions for disease and pest prevention in each part of the farm. Taranis, based in Tel Aviv, is raising funds and signing on customers in the United States, Israel, Brazil, Argentina and Russia. It previously received funding from OurCrowd, Eshbol Ventures, Kaeden Capital, iAngels and a private investor. This irrigation technology, based on research at the Ministry of Agriculture’s Volcani Institute, fully automates irrigation and fertilization customized to achieve desired root system depth, as well as the decision-making behind them. 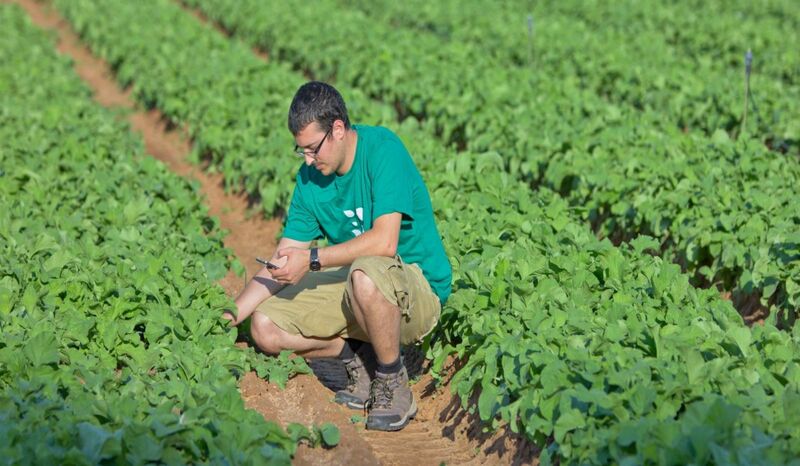 Tevatronic’s wireless sensors collect precise data from soil in each zone of the farm. A smart controller converts this cloud-stored data in real time into a precise irrigation-fertilization cycle without human intervention. The system increases productivity from 15-31% and saves up to 27-75% on water and fertilizer, depending on the crop. Uniquely, Tevatronic measures each plant’s stress level to determine when to start and stop irrigation. By contrast, traditional controllers time-release predefined amounts of water and fertilizer. Tevatronic, headquartered in Sderot, has raised more than $2.5 million from private and angel investors and the Israel Innovation Authority, and has done pilots in Israel and Austria. The company has its first Israeli customers and is expanding into the United States after finishing the Florida-Israel Business Accelerator. It was one of two Israeli companies chosen to present at the 2017 Alltech Ideas Conference in Kentucky. Touted as an IoT “digital tool belt” for farmers, ATP Labs uses data analytics and artificial intelligence to collect data from a critical mass of growers to generate cloud-based actionable best-practices advice. Live digitalized pictures help farmers increase productivity, profitability and sustainability of food production. ATP Labs’ founder and CEO Ilay Englard is a veteran of the IDF’s elite Unit 8200 signal intelligence corps and previously cofounded Support Machines, an AI-driven chatbot platform. The company is in Tel Aviv and is privately funded by investors in Israel and California. 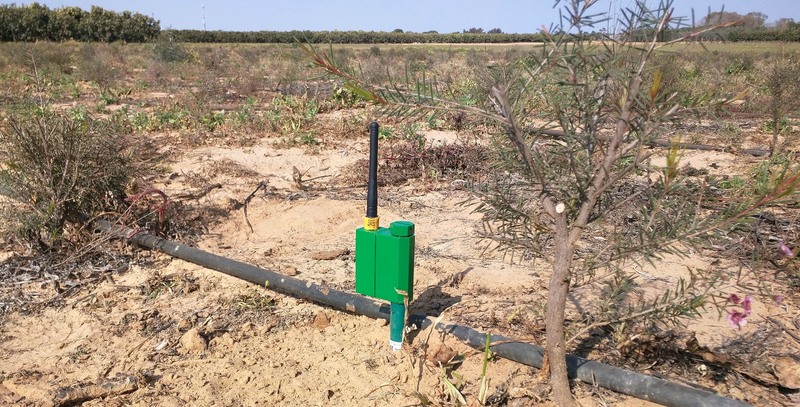 Saturas, based in Tel Hai, has developed inexpensive miniature sensors and wireless transponders to embed in the trunks of commercial fruit trees for accurate and continuous stem water potential measurement. The precision-irrigation system saves farmers 15-20% on water usage and increases production and quality. Following field tests in Israel, Saturas has started advanced beta sites on commercial citrus and almond farms in Spain and Israel in cooperation with Netafim and Naan Dan Jain. The product will be launched in time for the next irrigation season in spring 2018. Saturas, a Trendlines portfolio company, has gotten additional funding from Gefen Capital, Migal Galilee Research Institute and angel investors. To find out more about Israeli irrigation technologies, click here.